Despite the current emphasis on streamlining healthcare delivery, the administrative burdens placed on today’s healthcare providers—physicians, nurses, medical assistants and office staff—are heavier than they have ever been. 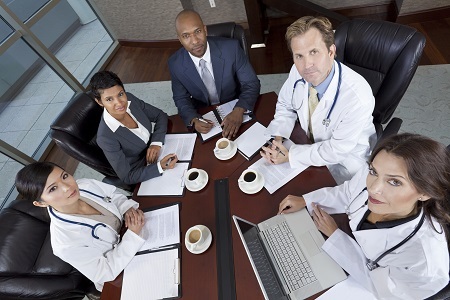 Between managing diverse information coming into the organization, ensuring it ends up in the right place within the electronic medical record (EMR), correctly capturing every element of a patient encounter, and accurately coding it to support proactive and comprehensive care, providers have a lot of non-clinical tasks on their plates. Amid these competing priorities, they are also expected to deliver a consistent, compassionate patient experience and smoothly handle unexpected situations. These often-conflicting duties can foster a high-pressure environment, leading to frustration, burnout and even unsafe situations. Discouraged and distracted clinicians and staff are more likely to make mistakes or be involved in patient safety issues, and the constant strain can negatively impact customer service and workplace interactions. To truly improve healthcare delivery, organizations must get a handle on the volume of administrative burdens that exist within today’s care delivery environment. Although easing provider workload was the original intent of EMRs, many of these solutions have not successfully met their goals. In fact, they have often contributed to some of the frustration staff experience, such as when clinicians must navigate clunky workflows that require users to search for information and toggle between screens, distracting them from the patient. Despite their shortcomings, EMRs remain the best way to capture clinical information, surpassing paper-based approaches that are inefficient and error-prone. That said, what if we could better leverage EMR technology, finding ways to optimize existing systems and bypass some of their challenges while taking advantage of their benefits? This would allow users to get the most out of their solutions while reducing the administrative burdens they foster. There are some emerging technology solutions taking this approach. For example, some organizations are starting to use an asynchronous, virtual scribe solution along with their existing EMR to streamline clinical documentation while preserving accuracy. The technology pairs a physician with a virtual partner who creates a comprehensive clinical note for the EMR based on a consented recording of the patient visit. The note is then uploaded into the organization’s EMR where the physician can review and amend it the next day. Because the service uses licensed physicians to create the notes, they are thorough and precise. However, the organization’s physician still can make changes if desired. By relying on the virtual scribe to complete the documentation, the physician can more closely focus on the patient during the appointment. The doctor can fully listen to the individual and respond to his or her questions and concerns without being distracted by the EMR. By using this kind of technology, organizations can enhance the accuracy of their diagnoses because the physician is not rushed and is paying closer attention during the encounter. This also fosters a stronger patient-provider relationship, which may yield more effective communication because the individual feels the physician truly cares and that builds trust. With repeated use, physician and patient satisfaction can increase, and the organization can see improved clinical and financial outcomes. Another solution involves optimizing data management and abstraction within the EMR. Organizations receive a multitude of documents each day—lab results, referrals, consultation notes and so on—and when they have solid and reliable processes for handling that information and making sure it consistently ends up in the most optimal EMR field, they enable better decision making, avoid care duplication and support more proactive care. One effective data management method involves leveraging a third-party resource to categorize and electronically file incoming documents, consistently putting the necessary information right at a clinician’s fingertips for use during the patient encounter. Such an outsourcing partner also can abstract necessary data for quality reporting, which can help with both patient care and reimbursement. The virtual scribe and data management solutions described here are just two of a category of offerings that aim to better utilize EMRs to help them realize their initial goals of streamlining the administrative aspects of care delivery and supporting more meaningful patient encounters. By leveraging solutions like these, organizations can start to make progress toward limiting the weight of non-clinical tasks, allowing providers to focus less on clerical duties and more on patient care.